CEDAR RAPIDS, Iowa (November 6, 2017)—Five former and current Kirkwood Community College Culinary Arts students were invited to prepare dinner at the esteemed James Beard House in New York, further validating the program’s top-20 ranking as one of the Best Culinary Schools in the U.S. The selected chefs work for four restaurants in Eastern Iowa. The late James Beard, a pioneer foodie and connoisseur of American cuisine, mentored hundreds of chefs throughout his lifetime. The James Beard Foundation (JBF), established in his honor, celebrates, nurtures and honors chefs making America’s food culture more delicious, diverse and sustainable for everyone. JBF maintains Beard’s former New York townhome where seasoned and rising chefs are honored by showcasing their culinary talents. An invitation to prepare meals is one of the most prestigious accolades in the culinary world. 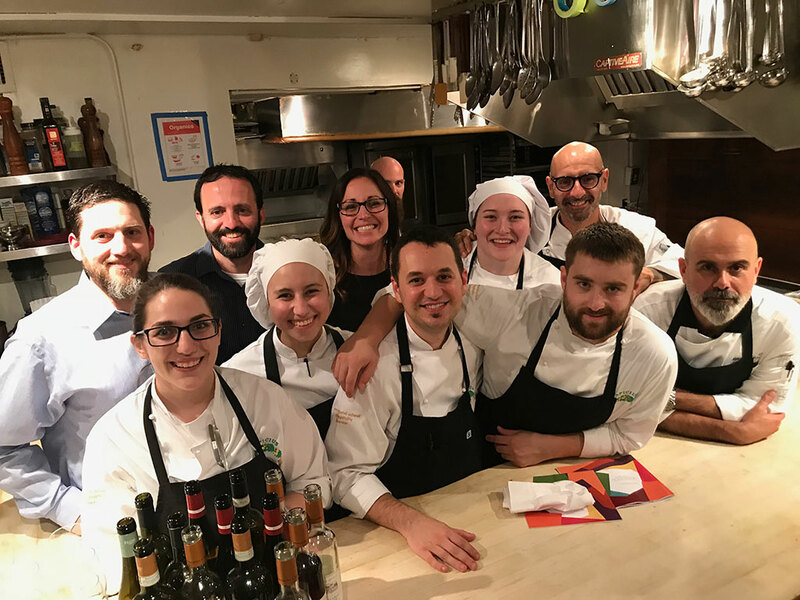 Kirkwood’s Justin Parrish, Alice Kolder, Samantha Yenney, Kathryn Wright and Matthew Greiner accompanied Italian chefs Andrea Trapani, Massimo Bocus and Simone De Castro, preparing dishes for the Italian inspired Medici Table. The five participated in study abroad immersions at Apicius International School of Hospitality in Florence, Italy. Chef Trapani serves as the director and professor of culinary arts for the school. Among the college’s top-five enrolled programs, Best Schools ranks Culinary Arts 16th in the nation. The program, accredited by the American Culinary Federation, has also earned exemplary designation. 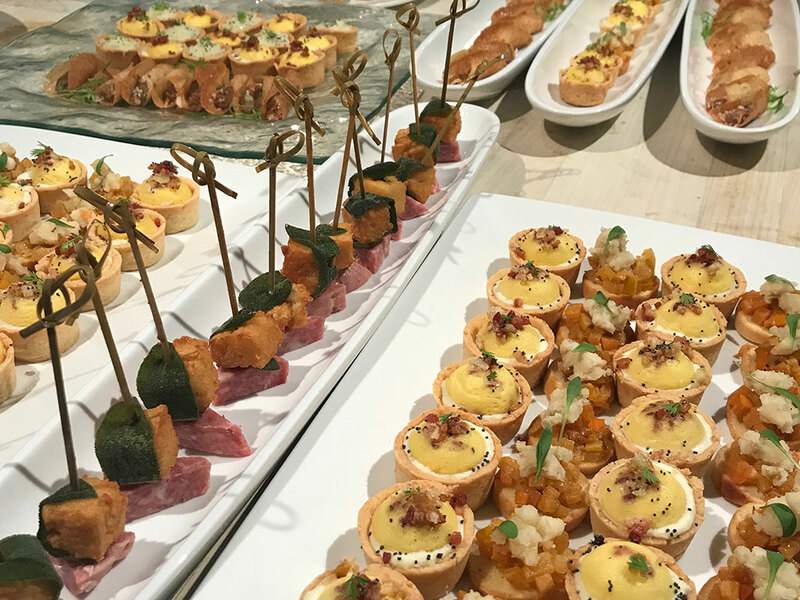 The rich industry experience of its instructors, surpassing 90 years, and the technologically-advanced cooking classrooms are what Kirkwood Hospitality Arts Department Chair David Horsfield attributes to the strength of the program. Since 2010, 353 students have earned their associate degrees in either Culinary Arts or Baking and Pastry Arts with an additional 92 in Hotel or Restaurant Management. The Kirkwood chefs recognized at the James Beard House currently share their skills in the Corridor. Parrish and Wright are part of the culinary team at Big Grove Brewery and Taproom in Iowa City. Greiner serves as line cook at Big Grove Brewpub in Solon. Yenney bakes for The Class Act at The Hotel at Kirkwood in Cedar Rapids and Chef Kolder is at Saloon in Iowa City. “To see these students’ skill development culminate in preparing dinner at the James Beard House is both amazing and inspiring. I know I speak for all of the faculty in Hospitality by saying how proud we are of their dedication and achievement,” said Kirkwood Chef Instructor Jeremy Ralph.